1.4 you are purchasing the goods as a consumer. If you wish to purchase any goods for business purposes then you should contact us at info@steelitehome.com and we will direct you to the terms and conditions which apply to such purposes. 2.1 You may place orders online at any time; order processing will take place during week day working hours (10am to 5:30pm, Monday to Friday; winter closing time is 5pm). 3.1 The contract for the sale of the goods by us to you (“contract”) will only be formed in accordance with this condition 3. (a) on the website by clicking ‘Confirm card details’ on the ‘Payment Information’ section of the Checkout process. Please ensure that you read and check your order and carefully before submitting it. (b) by email by sending us the description of the products you want to order, including their product code, and the quantity, along with your name, address and telephone number. (c) by telephone by calling us on 01782 641411 during the times set out in condition 2.1 above and providing us with the description of the products you want to order, including their product code, and the quantity, along with your name, address and telephone number. 3.3 Once your order has been placed, we will acknowledge it by email. This email does not mean that your order has been accepted. 3.4 We will contact you again by email to confirm your order or to give you reasons why it has been rejected (for example: the goods are unavailable; your payment has not been authorised; or there has been a mistake in the pricing or description of the goods on the website). 3.5 Only when we have confirmed your order does the contract between us come into existence and you are legally bound by its terms. 3.6 These conditions apply to the sale by us to you of all and any goods purchased through the website or by telephone and govern each contract to the exclusion of any other terms and conditions introduced or submitted by you. 3.7 This contract is provided, and is only available, in English. No other language will apply to this contract. 3.8 Your attention is drawn specifically to conditions 6, 8, 11, 12 and 13. 4.1 Whilst every effort is taken to ensure all items are in supply, occasionally some items may be temporarily out of stock. Orders can only be accepted subject to availability of the goods in question. In the unlikely event of an item being unavailable at the time of despatch we will advise you immediately by notice in writing (including by email), offer you alternative goods or provide a refund accordingly. 5.1 We have taken every care in the preparation of the content of this website, in particular to ensure that all products have been fairly described. The weights, dimensions and capacities given are approximate only. We have made every effort to display as accurately as possible the colours of our products that appear on the website. However, as the actual colours you see will depend on your monitor, we cannot guarantee that your monitor's display of any colour will accurately reflect the colour of the product on delivery. 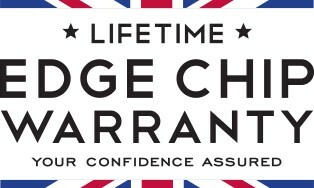 To the extent permitted by applicable law, Steelite International Ltd disclaims all warranties, express or implied, as to the accuracy of the information contained in any of the materials on this website. Steelite International Ltd shall not be liable to any person for any loss or damage which may arise from the use of any of the information contained in any of the materials on this website. Your attention is drawn to this condition. 6.1 Payments must be made when you place an order. Steelite Home payment pages are processed by Sagepay and PayPal. We do not retain any of your credit card information. For more information about Sagepay, please refer to www.sagepay.com. For more information about PayPal, please refer to www.paypal.com. If we are unable to supply any goods for any reason, we will inform you as soon as possible and we will provide you with a refund for these goods within 14 days. 6.2 The price to be paid by you is the price displayed on the website or as otherwise provided by e mail or telephone at the time when your order is received by us except in cases of obvious error. 6.3 If we discover an error in the price of the goods ordered by you, we will notify you as soon as possible providing you with the option of either reconfirming the order at the correct price or cancelling the order. If we are unable to contact you for the purposes of this condition 6.3, the order will be deemed cancelled and where you have already made payment for the goods this will be refunded in full. 6.4 We are under no obligation to provide goods to you at an incorrect (lower) price, even after we have issued a Despatch Confirmation if the pricing error is obvious and unmistakeable and could have reasonably been recognised by you as a mis-pricing. 6.5 We accept payment made by Visa, Mastercard, Delta and Maestro. We do not accept American Express. Only if your credit card has been authorised will your credit card be debited. You will receive confirmation of card payment and your unique order number via email. If your card is not authorised, you may be given the opportunity to try again or use a different card. No payment will be deemed to have been received until we have received cleared funds. Payment may be charged before we despatch your order. 6.6 The prices for the goods are inclusive of any value added tax ("VAT") but do not include delivery charges unless expressly stated otherwise. 7.1 We will use reasonable endeavours to ensure the goods are appropriately packaged prior to despatch but the packaging of the goods is at our discretion and we have the right to pack all the goods in such manner, and in such quantities as we think fit and we are not obliged to comply with any packaging requests or instructions from you. Packaging may vary from that shown on the website (or in any brochure). 7.2 All items are delivered to you in heavy duty cardboard boxes which have been specifically designed to protect your item. In the event of any damaged items please call Sales on 01782 641411. The remedies available to you for damaged goods are set out in condition 12. 8.1 Unless otherwise agreed, we will deliver the goods to the cardholders address provided to us by you at the time of order. If it is more convenient for you to have goods delivered to a workplace or any other suitable location, please give us this information when you will complete order delivery details. PLEASE NOTE: Items will require a signature. 8.3 Delivery date: Subject to condition 8.4, we will use reasonable endeavours to deliver the goods within 7 working days of your payment. Within the UK, goods are guaranteed for delivery via our chosen courier next working day following despatch. PLEASE NOTE: this is following despatch and not from the time of order placement. In any event, if we cannot fulfil your order within 14 days of your payment we will notify you of this situation and you will be entitled to a refund if you do not wish to wait any longer for the goods. In certain circumstances we ask that you allow up to 28 days for delivery. We will advise you of any issues regarding your delivery as soon as possible. 8.4 Any delivery dates given by us are estimates only. Notwithstanding any other provision of this contract time shall not be of the essence in respect of any orders or delivery dates stated. 8.5 Subject to the other provisions of these conditions, we will not be liable to you for any direct, indirect or consequential loss (all three of which terms include, without limitation, pure economic loss, loss of profits, loss of business, depletion of goodwill and similar loss), costs, damages, charges or expenses caused directly or indirectly by any delay in the delivery of the goods (even if caused by our negligence), nor will any delay entitle you to terminate or rescind the contract unless such delay exceeds 90 days. 8.6.3 we may store the goods until delivery, whereupon you shall be liable for all related costs and expenses (including, without limitation, storage and insurance). 8.7 We may deliver the goods to you by separate instalments and in such circumstances this will be notified to you. possible. Only if we have refused to deliver the goods, or if you needed the goods by a certain date that was made clear to us and we have failed to deliver them by that time, are you entitled to treat the contract as at an end. In all other circumstances, you can contact us to specify a time that you require the goods to be delivered by and then, if we have still failed to deliver them by that time, you may treat the contract as at an end. If you do so treat the contract as at an end, we will refund you the cost of the goods. 8.9 It is your responsibility to check the goods for any damage and that they are what you ordered upon receipt and you must inform us of such damage within 14 days of delivery. Please retain the damaged items as failure to do so may affect your claim. If you fail to inform us of any such damage, you are deemed to have accepted the goods. 9.1 Unfortunately, due to contractual obligations, we are unable to process international deliveries through this website. If you are an international customer, please contact us through info@steelitehome.com or on 0044 (1782 641411) and we will endeavour to help you. These terms and conditions will apply to any order that you place. 10.1 Subject to clause 8.6.1 following delivery to you, you will be responsible for the goods and for any loss or damage to them. 10.2 You will become the owner of the goods once we have delivered them to you provided that you have paid for the goods in full. 11.1.3 match their description, model or sample (subject to condition 5.1 above). This is a summary of some of your key rights. For detailed information from Citizens Advice please visit www.citizensadvice.org.uk or call 03454 040506. 11.3.1 You are legally entitled to cancel the contract at any time within 14 days beginning on the day after you receive the goods (the “cooling-off period”). In the event that the contract is cancelled in this way within the cooling-off period, you will receive a full refund of the price paid for the goods in accordance with our returns and refund policy set out in condition 13. 11.3.2 In order to exercise your right of cancellation you must provide us with a clear written notice by letter sent by post or email of your cancellation within the cooling-off period. The goods must then be returned to us in accordance with condition 13.2. You have a legal obligation to take reasonable care of the goods while they are in your possession. If you fail to do so, we may have a right of action against you for compensation. 11.3.3 You shall not have any right to cancel a contract for the supply of any goods which are personalised or made to your specification in any way. 12.1 It is your responsibility to check the goods for any damage and that they are what you ordered upon receipt of them and you must inform us of such damage as soon as it is noticed following delivery. 12.3.3 any losses to non-consumers. 12.4 Nothing in these conditions is intended to limit any rights you might have as a consumer under applicable local law or other statutory rights that may not be excluded nor in any way to exclude or limit our liability to you for any death or personal injury resulting from our negligence or fraud. 13.1.1 because you have cancelled the contract within the cooling-off period (under condition 11.3), following receipt of the goods, we will process the refund due to you as soon as possible and, in any case, within 14 days of the day you gave notice of cancellation. In such circumstances we will refund the price of the goods in full, including the cost of sending the goods to you. 13.1.2 for any other reason (under condition 12; for instance, because you claim that the goods are defective or do not conform to their description) we will examine the returned goods and will notify you of the results of such examination within a reasonable period of time. In the event that the goods are found to have been defective then we will offer to repair or replace the goods, or reduce or refund the price of the goods (at your option). We will usually process any refund due to you as soon as possible and, in any case, within 30 days of the confirmation to you that you are entitled to a refund for the defective goods. Goods returned by you because of a defect will be refunded in full, including a refund of the delivery charges for sending the item to you and the cost incurred by you in returning the item to us. 13.2 You may return items if they are not suitable at any time up to 14 days from receipt of your item for a refund or exchange. You must take reasonable care of the goods while in your possession and they must be returned to us at your cost, unused, in the original packaging and in a re-saleable condition with your original receipt. This policy does not affect your legal rights under the Distance Selling Regulations or other legislation. 13.3 The goods must be returned to us at your own risk, unused, in their original packaging, in the same condition in which you received them. Washing or rinsing the items is considered use. Do not remove or damage the rear label if you intend to return an item as this is an indicator of use. IMPORTANT: please ensure that you obtain a proof of posting certificate from the post office for your returned goods. We regret that we cannot be held responsible for loss of returned goods without proof of posting. Please note that goods returns charges are the responsibility of the sender and we regret that we cannot be held liable for any extra returns delivery charges unless goods are defective. 14.2 If the complaint relates to the quality or specification of goods please refer to our refund policy at condition 13. For any other complaints, queries or to provide us with feedback, please contact us at info@steelitehome.com. We shall endeavour to contact you within 7 working days of receiving your email and shall work closely with you in trying to resolve any problems fairly and quickly and to ensure that both our goods and the services which we have provided to you are to your satisfaction. 15.1 Applicable laws require that some of the information or communications we send to you should be in writing. When using the website, you accept that communication with us will be mainly electronic. We will contact you by e-mail or provide you with information by posting notices on the website. For contractual purposes, you agree to this electronic means of communication and acknowledge that all contracts, notices, information and other communications that you provide to us electronically comply with any legal requirement that such communications be in writing. The provisions set out in this condition do not affect your statutory rights. 16.1 All notices given by you to us must be sent either by e-mail info@steelitehome.com or by post at the address set out in condition 20. We may give notice to you at either the e-mail address or postal address you provide to us when placing an order, or in any of the ways specified in condition 15 above. Notice will be deemed received and properly served immediately when posted on the website, 24 hours after an email is sent, or three days after that date of posting of any letter. In proving the service of any notice, it will be sufficient to prove, in the case of a letter, that such letter was properly addressed, stamped and placed in the post and, in the case of an e-mail, that such e-mail was sent to the specified e-mail address of the addressee. 17.2 You will be subject to the policies and terms and conditions in force at the time that you order goods from us, unless any change to those polices or these terms and conditions is required to be made by law or governmental authority (in which case it will apply to orders previously placed by you), or if we notify you of the change to those policies or these terms and conditions before we send you the Despatch Confirmation (in which case we have the right to assume that you have accepted the change to the terms and conditions, unless you notify us to the contrary within seven working days of receipt by you of the goods). 18.1 We are the owner or the licensee of all intellectual property rights in our websites, the material published on it, including, without limitation, all pictures, designs, logos, photographs and written text. All such rights are reserved. Unauthorised use of these intellectual property rights is prohibited. 19.1 We may assign the contract or any part of it to any person, firm or company. You may not be entitled to assign the contract or any part of it without our prior written consent. 19.2 We may defer the date of delivery or cancel the contract or reduce the volume of the goods ordered by you (without liability) if we are prevented from or delayed in the carrying on of our business due to circumstances beyond our reasonable control including, without limitation, acts of God, governmental actions, war or national emergency, acts of terrorism, protests, riot, civil commotion, fire, explosion, flood, epidemic, lock-outs, strikes or other labour disputes (whether or not relating to our workforce). 19.3 If any provision of the contract or these terms are found by any court, tribunal or administrative body of competent jurisdiction to be wholly or partly illegal, invalid, void, voidable, unenforceable or unreasonable (including any provision in which we exclude our liability to you) it will to that extent be severed and the remaining provisions of the contract or these conditions and the remainder of such provision shall continue in full force and effect. 19.4 Failure or delay by us in enforcing or partially enforcing any provision of the contract shall not be construed as a waiver of any of our rights under the contract. 19.5 Any waiver by us of any breach of, or any default under, any provision of the contract by you shall not be deemed a waiver of any subsequent breach or default and shall in no way affect the other terms of the contract. 19.6 No term of the contract shall be enforceable by virtue of the Contracts (Rights of Third Parties) Act 1999 by any person that is not a party to it. 19.7 These conditions, together with our current website prices, delivery details and contract details, set out the whole of our agreement relating to the supply of the goods to you by us. 19.8 The formation, existence, construction, performance, validity and all aspects of the contract shall be governed by English law and any disputes shall be resolved in the English courts unless you live in Scotland, in which case you can also bring legal proceedings in the Scottish courts, or Northern Ireland, in which case you can also bring legal proceedings in the Northern Irish courts. 19.9 The goods and promotions which are offered on the website may not be available in-store and vice-versa.